This position is located in the City of Yellowknife, situated on the Northern shore of Great Slave Lake; Yellowknife is the capital of the Northwest Territories, Canada. The population of Yellowknife is 20,000. This multi-cultural community is welcoming and the wilderness is your backyard. For more information about the community please visit www.yellowknife.ca. This is a Registered Nurse Position. The Emergency Medical Coordinator, Med-Response is located in Yellowknife and reports directly to the Territorial Emergency Medical Supervisor, Med-Response. This position will be the primary coordinator of emergency medical evacuation services including air ambulance triage, air ambulance coordination, dispatch services, and repatriation services. 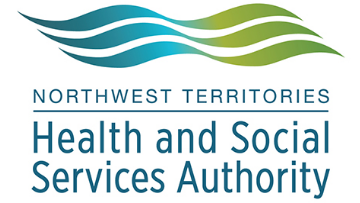 Additionally, this position will help coordinate practitioner-to-practitioner virtual advice services including providing clinical advice in emergency situations and facilitating consultation with physicians and/or specialists in the NWT or elsewhere. The Emergency Medical Coordinator, Med-Response provides clinical advice and support, continuing medical management as necessary and assessment in emergency situations; and facilitates consultations with physicians and/or specialists in the NWT or elsewhere. This level of knowledge is commonly acquired through the successful completion of a bachelor’s degree in nursing with three years’ experience in emergency room OR NWT Community health centre. All other equivalencies will be assessed on a case-by-case basis. Must be a licensed member of a Provincial or Territorial Nursing Association in good standing and be eligible for registration with RNANT/NU. Generous Leave Allowances - Employees earn 16.5 days off during their first year of employment, this is on top of mandatory leave, special leave, sick leave and even winter bonus days! Mandatory Leave with Pay – 5 days off with pay that you are required to take over the course of the year. Pension & other benefits - Employees contribute to the defined pension plan administered by the Government of Canada. Health and Dental benefits.